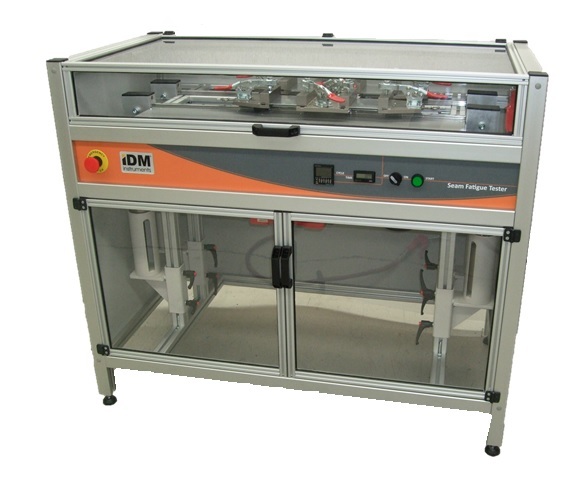 Used predominantly by vehicle seating manufacturers, IDM's Seam Fatigue Tester was designed to test the strength of a sewn seam in a fabric. It operates by lifting a 3kg weight using the sewn fabric as a ‘tow rope’. The 3kg mass is dropped onto a shelf at the end of each stroke and lifted again by the fabric. The shelf height is adjustable so that the mass can be set down gently without too much jerk. 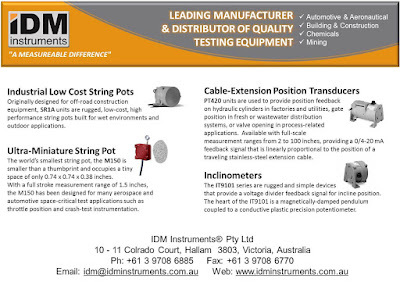 The machine is double-ended and two sets of specimens can be tested at each end.